Baxter Rose & Schrager has two partners who practice in the area of medical malpractice: Arthur R. Baxter, Jr. and Cynthia Rose. Medical Malpractice cases are complex and require an attorney with experience with the Indiana Medical Malpractice Act and experience with health care. Ms. Rose is a registered nurse and an attorney and has practiced law in the area of medical malpractice for 28 years. Mr. Baxter has represented many clients with injuries from medical mistakes and conducted bench and jury trials for his clients. 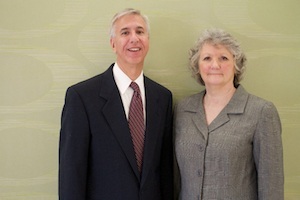 Both Mr. Baxter and Ms. Rose have access to a wide network of expert witnesses. Medical mistakes occur more frequently than one would think. It is estimated that medical mistakes are the third leading cause of death in the United States every year (British Medical Journal, BMJ 2016) Estimates are that there are nearly 250,000 deaths per year in the United States from medical mistakes. Even if the mistake does not cause death, it still can result in severe impairment, pain, loss of function, scarring, loss of a limb or limbs, brain injury and many other types of injuries. At Baxter Rose & Schrager, there is no charge to have your medical treatment reviewed. Mr. Baxter or Ms. Rose will review your situation at no charge to you and determine if they can help you obtain compensation for your injuries. Health care providers usually do not tell the patient or the patient’s family if there has been a mistake that has caused injury, so the only way to know if you have been injured due to a mistake is to have your case reviewed. In the Harvard study of medical malpractice, they found that most cases of malpractice are never pursued because the patient does not even know if there was a mistake that caused their injuries (Patients, Doctors, and Lawyers: Medical Injury, Malpractice Litigation, and Patient Compensation in New York, The Report of the Harvard medical Practice Study to the State of New York). This study estimated that 8 times as many patients suffered an injury from medical negligence as filed a malpractice claim in the State of New York. We are glad to offer you a free case review if you have been injured from medical care. Mr. Baxter and Ms. Rose have settled and tried medical malpractice cases to juries with success. Mr. Baxter and Ms. Rose have obtained settlements for their clients for the maximum amount allowed in the State of Indiana. Contact Baxter Rose & Schrager today to have your potential medical malpractice claim evaluated for no charge.